One of the main activities of the Group of Atmospheric Science is Mars Research and Exploration. We are very much interested in the characterization of the Mars environment information as well as its relevance for the design and operation of present and future missions to Mars. We live in the Golden Age of Mars exploration, an area where science and technology progress in parallel working hand by hand. Mars exploration has bloomed as one of the most important targets of scientific-technical and strategic (non-military) international interest. 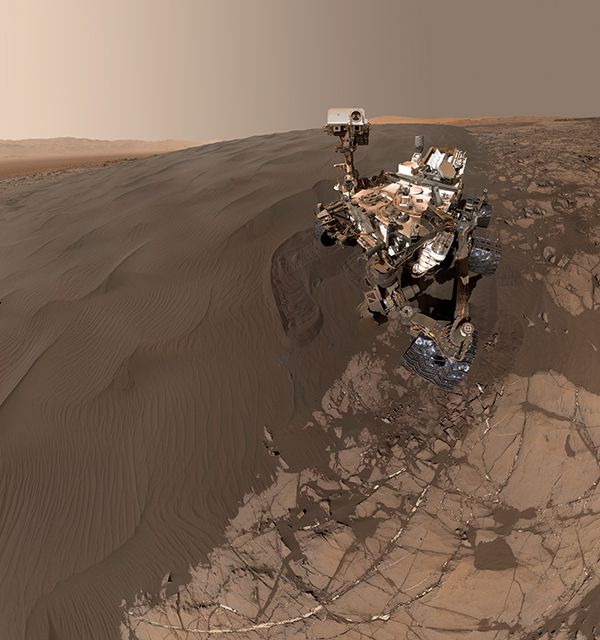 The NASA Curiosity rover of the Mars Science Laboratory (MSL) mission landed on Gale crater on Mars on August 2012, including the Rover Environmental Monitoring Station (REMS) instrument as payload for the study of the water cycle and the environment. The mission has been successfully operating ever since, and on December 2012, the NASA associate administrator for science announced that the mission was extended indefinitely as long as the mission is scientifically viable. On September 2014, the NASA’s Mars Atmosphere and Volatile EvolutioN Mission (MAVEN) was inserted into orbit around Mars, and on the same month, the Indian Space Research Organization (ISRO) successfully inserted in orbit the Mars Orbiter Mission (MOM), becoming the fourth Space Agency to reach Mars (after the soviet space program, NASA and the European Space Agency). 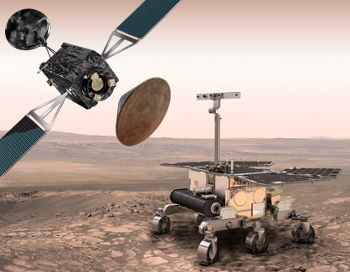 ESA and ROSCOMOS have launched the Trace Gas Orbiter (TGO) and the Entry- Descent-landing Demonstration Module (EDM), and on 2020 the ExoMars rover and surface platform will be sent to complete the ExoMars programme. NASA will launch on 2018 the InSight lander, and on 2020 a new rover for Mars Exploration. The Indian Space Research Organization (ISRO) plans to send a follow up mission to Mars in the 2017- 2020 frame; the United Arab Emirates recently announced that the first mission of its space agency will be a mission to Mars on 2021, and China has also plans for a mission to Mars before 2020 including an orbiter, lander and rover. Rover Environmental and Monitoring Station (REMS) on the Curiosity rover. and we are PI of the instrument HABIT (HabitAbility, Brines, Irradiance and Temperature) that will be part of the ExoMars Surface Platform.